HRE is always looking for talented and trustworthy individuals to join our team. If you’re looking to work for a company that expects sacrifice, demands individual responsibility and rewards true performers with a challenging and fun environment based on trust and achievement, you’ve found the right place. We are looking for a bright and hard-working Shop Assistant to be a part of HRE's manufacturing team. Multiple positions available requiring daily hands-on work in a variety of areas (polishing, powdercoating, assembly, shipping, inventory management, quality control, driving, etc.) so the ability to learn quickly is a must. You need to be able to work under pressure. The job may be physically demanding depending on the position. You must have the ability to earn the trust and admiration of the team quickly. Must be fluent in English. Spanish helpful. Must be able to lift up to 50 lbs. Must have a valid CA Driver's License and be willing to submit to a background check. Potential for significant overtime. If you think you can be a part of the team, contact us at careers.hrewheels.com. We are looking for highly motivated Manufacturing personnel to work in our Wheel finishing and assembly area. If you are a motivated, dedicated worker with a great attitude in the North County area - We can help. Assemble and prep custom wheel parts and pieces using a variety of tools and equipment according to required specifications in a manufacturing organization. Read, interpret and follow basic diagrams, specifications, bills of materials, and other written instructions or procedures to accurately assemble custom wheels. Utilize hand held tools such as a hand held screw gun and pneumatic guns. We are looking for a highly motivated CNC Machinist to work in our Wheel Machining area. If you are a motivated, dedicated worker with a great attitude and experienced in Machining - contact us. 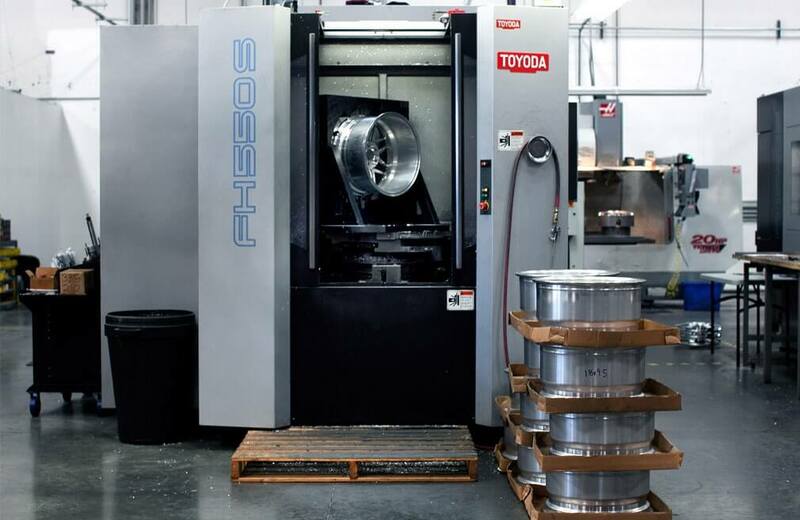 This Machinist position will work closely with the Machine Shop Lead to ensure all machined wheels are built to HRE's high standards. Growth potential is available as our company grows - your aptitude and attitude is all you need to succeed! Operate multiple CNC machines simultaneously. Must be able to show up on time, follow directions, and work well with others.